Proof positive that my kid loves her veggies!! 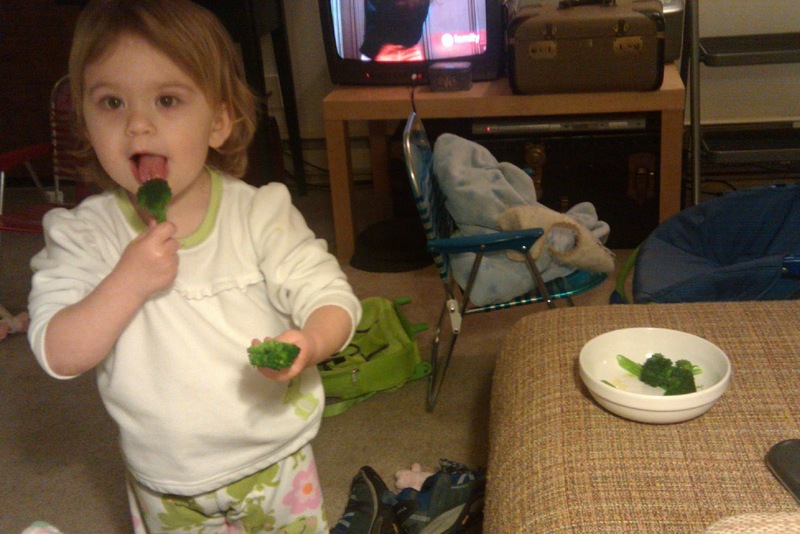 Munching on broccoli while watching Harry Potter. Parmesan cheese is great with broccoli. If you're serving broccoli for dinner, put some Parmesan in a pile on the plate or in a separate bowl for dipping. If sending it to school in your kid's lunch, sprinkle some on for them. Yum!! !